Alpine view, originally uploaded by slack12. 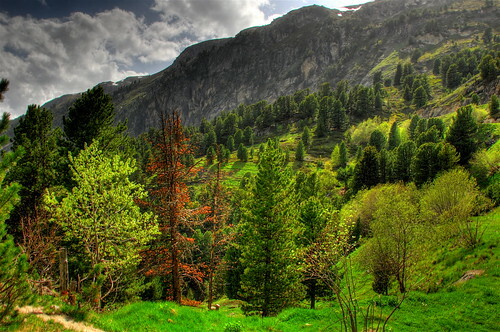 I like this image of trees on a French mountainside above Aussois because of how it captures so many different tones of green. So often when you see a picture of a forest all the trees are pretty much the same tone of green. This image has a very pleasant blend of greens that give the picture an almost 3D quality. have you ever heard about My National Stuff? you have probably seen our Articles all over the place we have launched our site National tree of Spain where we post informative Articles. we would be stocked if you could add us to this list.